The CBS network has planned live stage adaptations for classic TV sitcoms Cheers and The Brady Bunch, both set to debut in 2016. The Brady Bunch play will be a musical, while the Cheers adaptation is said to, "showcase classic moments" from the beloved sitcom. It was not confirmed if any cast members will reprise their roles for these adaptations. Cheers ran for 275 episodes through 11 seasons between the years 1982 and 1993, showcasing the lives of the patrons who frequent a Boston bar. 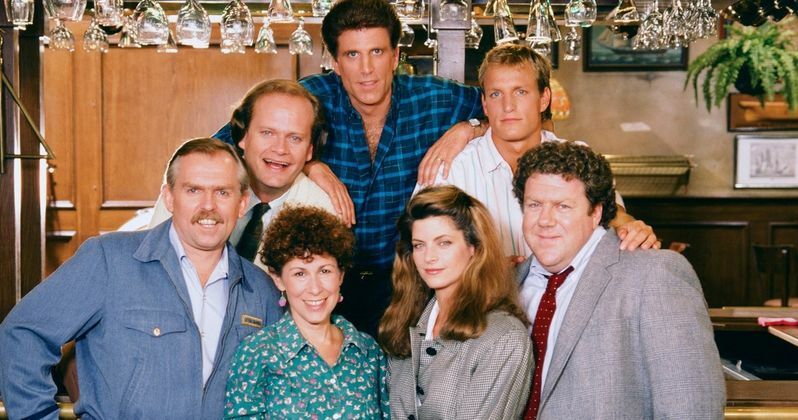 The series starred Ted Danson, Rhea Perlman, George Wendt, John Ratzenberger, Kelsey Grammer, Woody Harrelson, Kirstie Alley, Shelley Long and Bebe Neuwirth. Teh series also spawned the popular spinoff Frasier, which also ran for 11 seasons between 1993 and 2004. There has already been a Cheers stage adaptation that happened in 1996, but it isn't known if there will be any similarities between each show. The Brady Bunch ran for five seasons for 169 episodes between 1969 and 1974, following two families who come together after their parents get married. The show starred Robert Reed, Florence Henderson, Ann B. Davis, Maureen McCormick, Eve Plumb, Susan Olsen, Barry Williams, Christopher Knight, Mike Lookinland and Allan Melvin. The show has recently had a "comeback," of sorts, with a new Snickers commercial that featured Robert Reed, Florence Henderson and Danny Trejo as Machete. It isn't known where these stage adaptations will debut, or if they will be touring shows that travel across the country, but we'll keep you posted as soon as more details have been released.